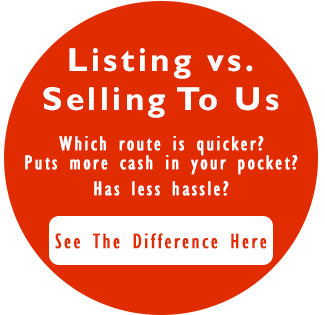 There are many ways to Sell Your House Fast! Joint venture may be a good option for you. Read on to learn how we can be business partners, sell your house quickly and put cash in your pocket! I’ve been a real estate investor for more then 10 years. In all that time, I’ve come across some unique homeowner situations. There are many ways beyond a traditional broker to sell your house fast. Sometimes selling to a real estate investor is the best option. One unique solution I wanted to share with our visitors is the idea of a joint venture. This is a situation where you the homeowner become our partner. With a joint venture, you hold the deed to the property. We the investors agree to put up the money and manpower to renovate the property. Once the property sells, we pay off the mortgage or an agreed upon price above what you owe on the house and what ever money over and beyond what we paid to renovate we keep as our profit. This allows us to invest in properties where homeowners have limited equity but renovation is still necessary in order to sell it quick. It also allow us to put up less money as an investment while still generating a decent return. If this sounds like something you might be interested in then give us a call today. I would enjoy walking you through a project we have going on now just like the one described above.